The MIJ-03 Soil Oxygen Sensor is designed for long-term, in-situ monitoring of soil or sediment oxygen concentration. Each sensor is individually calibrated for maximum accuracy. Calibration is extremely easy and can be completed in ambient air. Maintenance of the MIJ-03 Soil Oxygen Sensor is minimal. Once the sensor is installed in the soil, there is no further maintenance. The life-time of the sensor is approximately 10 years when the electrochemical element of the sensor expires. The MIJ-03 Soil Oxygen Sensor has a voltage output that can be supported by any compatible data logging system. The Edaphic Scientific range of ES-SYS data logging systems, with internet access, can support the MIJ-03 Soil Oxygen Sensor. Or, our scientists and engineers can assist you in connecting the sensor to your existing system. The MIJ-03 is built from a polyoxymethylene (POM), a rigid thermoplastic, that provides long-term stability in harsh environmental conditions. The sensing apparatus is behind a Teflon hydrophobic, gas porous membrane, meaning the MIJ-03 can measure under saturated, flooded and anaerobic conditions. Rainfall and irrigation are no problems for the MIJ-03 Soil Oxygen Sensor. 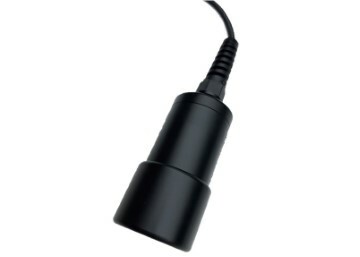 The MIJ-03 Soil Oxygen Sensor is an electrochemical, or galvanic, style sensor. Similar to the operation of a battery, an electrochemical difference is created which is proportion to oxygen concentration. Oxygen molecules diffuse through the Teflon membrane, via gradients of diffusion, and interact with the electrolyte in the sensor’s cell. An electrical charge is created between the anode and cathode of the cell. The greater the oxygen concentration, then the greater the electrical charge. The relationship between the oxygen concentration and the electrical charge is linear. A two-point calibration curve: ambient air (20.9%) and 0% oxygen. 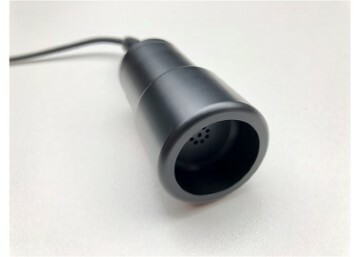 Fortunately, the MIJ-03 Soil Oxygen Sensor is extremely easy to calibrate: ambient air can be easily measured; and the 0% value is simply 0mV in the sensor. Therefore, the MIJ-03 sensor can be calibrated in ambient air. 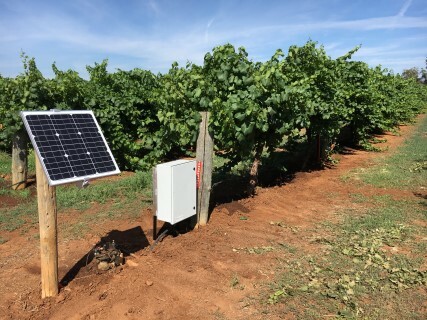 In 2017, the New South Wales Department of Primary Industries commissioned Edaphic Scientific to install a phyto-monitoring system on various varieties of grapevines. 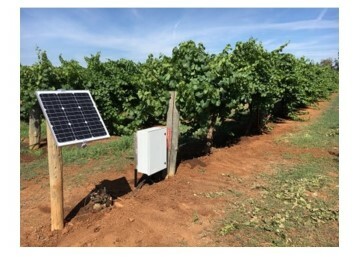 Known as The Grape Monitor, the phyto-systems are measuring stem growth (dendrometers), sap flow, soil moisture, canopy temperature, and more parameters. Data is uploaded to the internet via the Edaphic Scientific telemetry system. These data can be viewed at anytime. For more information, visit The Grape Monitor. Edaphic Scientific is a one-stop shop for a whole system monitoring solution. We provide plant and soil monitoring systems for researchers and growers including wireless, LoRa WAN and modem options. 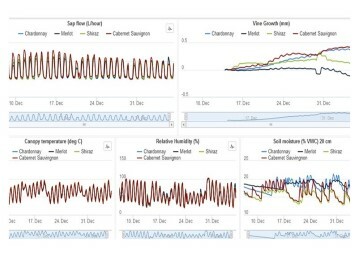 Our systems not only support dendrometers, but related sensors such as sap flow, soil moisture, weather parameters, and more. Edaphic Scientific recognises the need for flexible and adaptable sensor and data logging solutions for experimental or environmental monitoring projects. Data can be downloaded directly in the field from data loggers. A direct connection between the data loggers and your computer, via a USB cable, can be used for manual downloading of data. 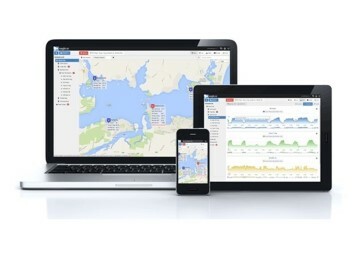 Alternatively, data can be downloaded over the internet on your iPhone, iPad or desktop computer with the Eagle.io cloud-based, data management software solutions. Through this remote based downloading capabilities, you can download, view and manage your data, and system, anywhere in the world and at anytime.